Just the right set of tools required for your team to engage your subscribers and drive sales for your store. Start building your marketing list and conversions with these effective set of features. Advanced Plan - Serves the needs of businesses that are ready to scale. With built in automation, powerful segmentation, Advanced plans works best for marketing teams that are chasing rapid growth. Packed with powerful features, it helps you set your engagement and retargeting strategy right. iZooto's Monetization plan is meant for you. Start engaging and monetizing your users with targeted web push notifications. Deliver news, content, updates - all in real time, and fuel your content efforts with additional revenue. Build a revenue channel that truly complements your existing revenue sources. 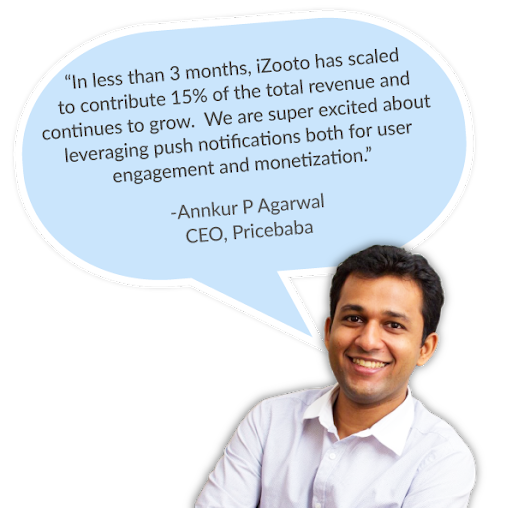 iZooto helps you monetize your push notification inventory with native content ads - without competing with your existing revenue channels such as Adsense. Engage your users with web push notifications and build repeat traffic for your website. Also, reduce your dependency on Facebook and Google and scale push notifications as a sustainable source of traffic. Partners who help us serve a global audience - Taboola, Pubmatic, Adgebra, RevContent and more. Seamless integration with leading content management systems - Wordpress, Squarespace, Drupal, Joomla, Wordpress VIP, Quintype and more. Get the best of control, customization, scale, and extensibility that you’ll need to engage your users. Work with dedicated experts, from migration to setup, and beyond. Infrastructure runs, by the way of obsession, at iZooto. We are all about personalized notifications at scale, delivered at the right time. Assistance, Consultation or Concierge - You get everything with our dedicated customer success manager. On chat, email, and call. Works seamlessly with Enterprise platforms across industries - publishing, lead generation, banking, e-commerce and more. Marketing is an iterative process - Goals change, KPI's get reset, new metrics are added. We get that. Our Customer Success Team ensures that you are able to adapt quickly as you grow. 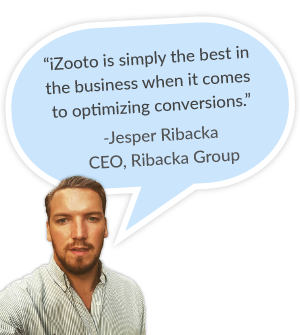 Buyer journey is complex and iZooto helps you engage your users at the right point at the right time. Get access to dedicated customer success manager - your extended marketing team. Push Notification only work on HTTPS websites.I have a HTTP website. Can I also use push notifications? We do help HTTP websites use push notifications using a HTTPS subdomain. You could also use our branded sub-domain option ( part of the essential plan). This detailed article lists how iZooto works for HTTP websites. You can raise a request to upgrade or downgrade your plan from Dashboard. You can go to the Payment Details tab and raise a request to upgrade or downgrade your plan. You will receive an invoice from Datability Solutions Inc every time a successful payment is done. How can I send data against users and segment user-base? 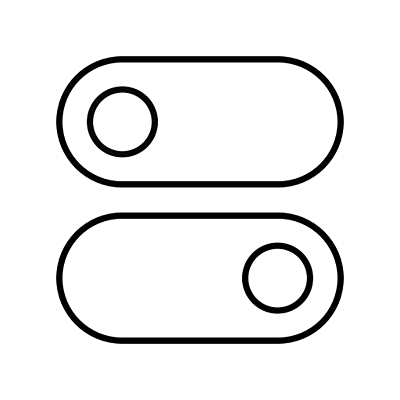 How do I switch from a Basic to Essential? You can become a paid user by signing up for a monthly plan. Our paid plans are available for any size list and start as low as $25. Yes. We offer a flat 15% discount on annual subscription plans. We have clocked 11x ROI on our iZooto investment. Web push notifications perform better than our paid campaigns. Thanks to the awesome team that has opened the doors to a whole new marketing channel. iZooto has helped us quickly and easily leverage new traffic sources for our main websites thanks to a fast integration and great communication with the teams.